I love all the posts that show the heart beating the ! out of the brain, like we have no control over our hearts… which we often really don’t. 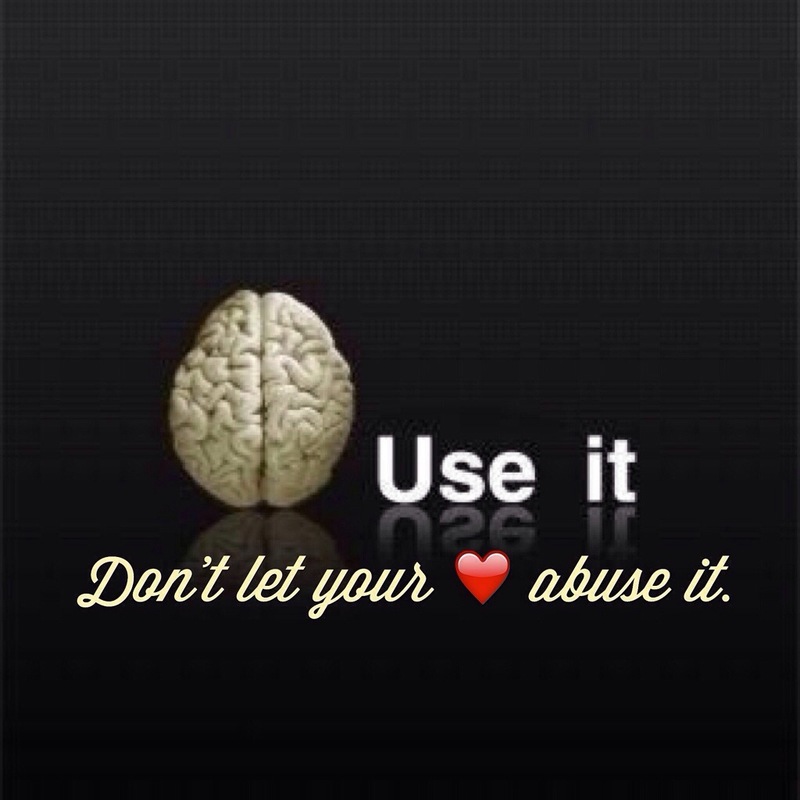 You really can’t control how you feel about someone, but you CAN control if they abuse you. Don’t buy into the drama of being the hurt victim. Focus on what you DO want, and leave. Preach that! Sometimes following your heart takes you down dark back alleys when you could’ve been basking in the sunshine.